Professor Miller's research focuses on the performance of gender within two main areas: pedagogy and labor-managed firms. The flipped classroom and other pedagogies involving active-learning , have gained increasing attention and acceptance over the past few years. Professor Miller analyzes these pedagogies both theoretically and empirically, in terms of gender. Do these pedagogies empower women to learn and/or to pursue the field of economics and other areas where they have been previously under-represented (such as science, technology, engineering, and math)? Towards answering this question, Professor Miller is working on an internal grant project titled Women and Increasing STEM-Efficacy (W-ISE) that assesses the impact of the usage of clickers (student response systems) on women's self-efficacy in large, introductory STEM courses. Professor Miller also experiments with using games, student-written diaries, student performances, and other active-learning methods, within her classroom. 2. Labor-managed firms (Worker cooperatives). Labor-managed firms (worker cooperatives) represent an economic alternative to traditional, top-down, capitalist businesses, as labor-managed firms are owned and managed by the firm's workers. Professor Miller examines gender relations within such firms in the United States. 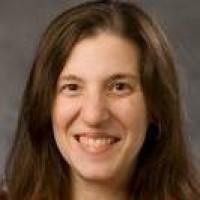 Based on her own collection of gender-disaggregated data from a pilot study of worker cooperatives in the U.S., Professor Miller finds preliminary evidence that although women in cooperatives fare better than women in the general labor force, there are also several ways in which women's equality in cooperatives falls short. Of particular interest is the preliminary finding that the gender-based wage gap is about the same within worker cooperatives as it is within the general, capitalist labor force (about 0.76 in both), despite the efforts of cooperatives to establish relatively flat-wage structures. Why are worker cooperatives, with their ideology of equality, unable to achieve a higher level of gender equality? Toward this end, Professor Miller analyzes gender relations within worker cooperatives. She is developing a theory of how gender and class play out in worker cooperatives that co-exist within a predominantly capitalist economy. Professor Miller also plans to use newly-available, 'big data' on the U.S. labor-managed sector to engage in empirical analyses of gender issues in worker cooperatives. Such data is being collected by institutions such as the U.S. Federation of Worker Cooperatives and the University of Wisconsin Center for Cooperatives. Aside from these two areas of gender research, Professor Miller is also working on a book manuscript titled Sandbox Economics: All I Know About Economics I Learned from My Kids. In this book, Professor Miller uses stories from her experiences as a parent and as an economist to provide a presentation of today's pressing economic issues to a popular (lay) audience, using amusing anecdotes from her children to illustrate various economic concepts.